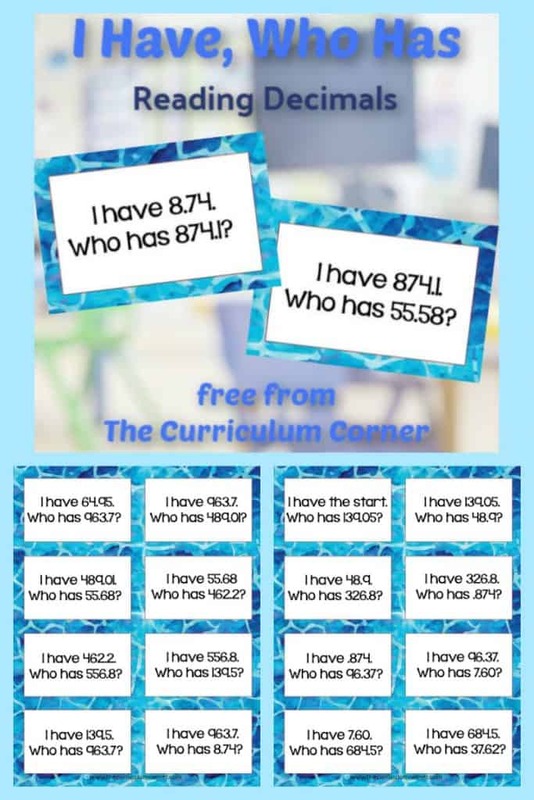 This free I Have, Who Has decimal game has been created to give students practice reading decimals. 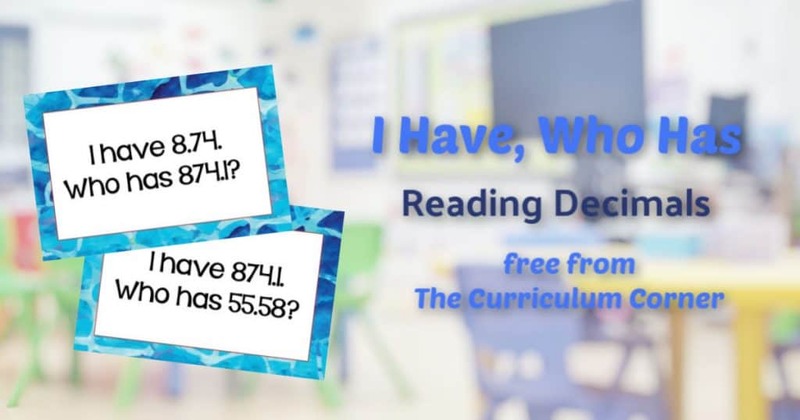 Use this game as a way to give your students practice reading decimals. We have included decimals with similar digits so that students have to listen carefully in order to find their correct match. This set contains 31 cards. If there are extras, you can choose to give some students more than one. As an extension at a math center, have students create their own I have, who has games for a new set of decimals or another skill. This requires students to practice the math skill and also involves problem solving and organization because students have to make sure problems are not repeated and they go in order.